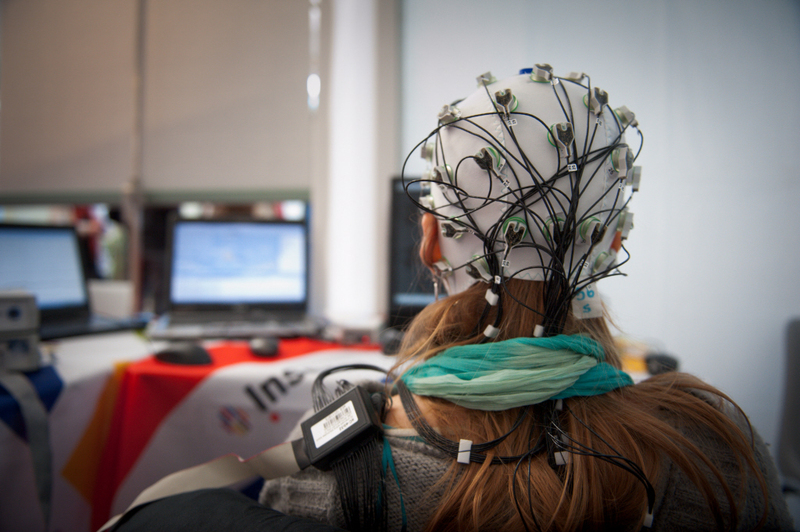 Interpreting the signals emitted by the brain and translating them into commands usable by humans is a goal that researchers have been pursuing in the development of what is known as brain-machine interfaces. With respect to health, these interfaces could be used by people suffering from paralysis. Up to now, researchers have encountered technological difficulties because the sensors used to record brain activity do not yet do so with enough accuracy. With the support of the Bioelectronics Department of the St Etienne Ecole des Mines, a research team headed by Christophe Bernard of INSERM Unit 1106 “Institut de neurosciences des systèmes” have designed a system for sensing brain activity that is 100% biocompatible and made of organic matter. The medium, which is only a few microns thick, is as thin and flexible as cellophane, and yet very tough. The model was tested on an animal suffering from epilepsy. The quality of the brain signal recorded was 10 times better than the traditional brain activity recording systems. The research was published in the Nature Communications journal. Man-machine interfaces have been playing a central role for several years in the diagnosis and treatment of certain conditions, in the movements of artificial limbs (exoskeletons) and even in the design of artificial sensory organs. In the case of brain-machine interfaces, the problem consists in detecting the signals emitted by the brain and translating them into commands that are usable by humans. These signals are used for diagnostic purposes (such as, for example, to determine whether a person is epileptic and which regions of the brain are responsible for the attacks), to link an artificial eye to the regions of the brain that process visual information or to control the movement of exoskeletons in people who are paralysed by recording the neurons in the regions of the brain that control the motor function of limbs. For the capture of the maximum number of signals emitted by the brain, there is a need for direct contact with the central nervous system. This is very hard to achieve when using non-invasive measurement systems (i.e. electrodes placed on the head). Another disadvantage is that most of sensors used today are not biocompatible, thus triggering a defence reaction in the tissues, resulting in loss of signal after a certain amount of time. Finally, and this is the most important aspect, the signals detected are pre-amplified at a distance from the source, and this results in the presence of considerable interference on the recordings, thus preventing them being used to their best advantage. 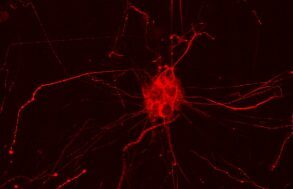 The Bioelectronics Department of the St Etienne Ecole des Mines in Gardanne, the Institut de Neuroscience des Systèmes (INSERM Unit 1106) and the Microvitae SME at Gardanne have contributed a technological solution to these problems. The researchers designed a system of brain activity sensors made of an organic material (based on carbon composites) that is 100% biocompatible. The medium is only a few microns thick, as thin and flexible as cellophane, and very tough. But the revolutionary technology lies in enabling the recording site to work as an organic transistor that amplifies the signal locally. The system was tested in an animal model suffering from epilepsy. The quality of the signal was amplified tenfold in comparison with the traditional systems an amount that the researchers claim to be considerable. A technological solution such as this makes it possible to record numerous neurons and interface with brain structures in the long term. 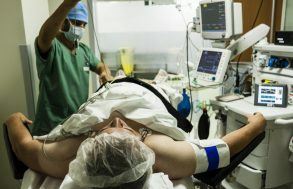 The immediate clinical applications could include assistance with diagnosing epilepsy and functional mapping in the context of neurosurgery for brain tumours. Naturally, these transistors could also be used for non-invasive recordings in direct contact with the head. In addition to disease control, the technology will enable major advances to be made in basic research, and especially in the context of the Human Brain Project which has received one billion euros of finance from the European Union. Recording systems based on organic transistors are precursors to the Man-machine interfaces of tomorrow.